Panel dampers are a practical and elegant solution for protecting new and existing structures against earthquakes. 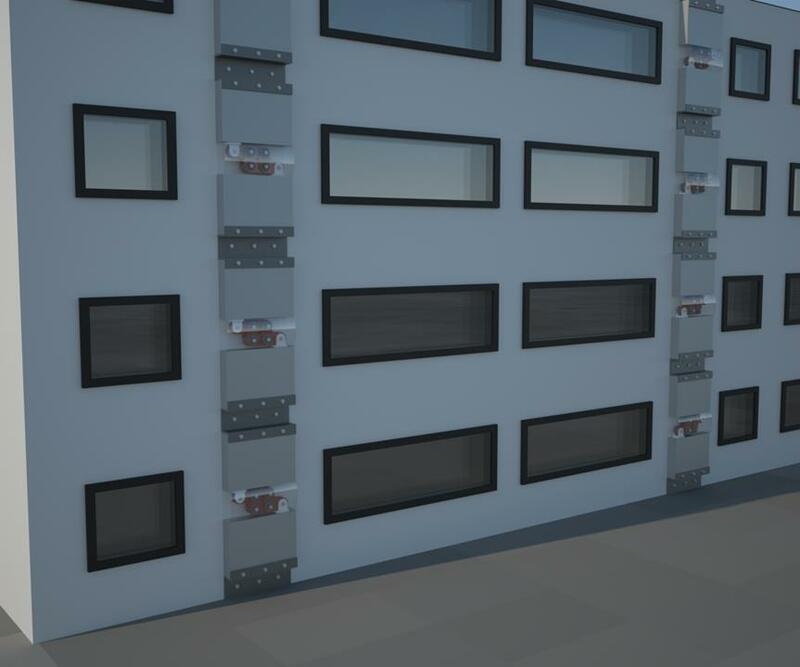 The dampers can be installed in the buildings and structures without taking much space, allowing the architect to avoid bracing in window partitions. They can be hidden or visible depending on the architectural concept. The dampers work in the same way as the dampers in a frame structure with diagonal bracings but here two panels are used instead of the diagonal bracings. This solution is equally applied to concrete or steel structures. The panels including dampers are prefabricated which means that they can be installed quickly into buildings. This is especially an advantage when retrofitting as the panels can be installed quickly without much disturbance of the daily operations of a building.